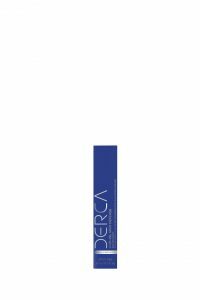 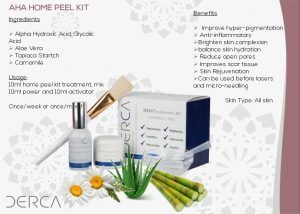 Alpha Hydroxy Acid skin peel with Glycolic acid, Aloe Vera and Chamomile to allow natural skin peeling while hydrating the skin and causing no inflammation. 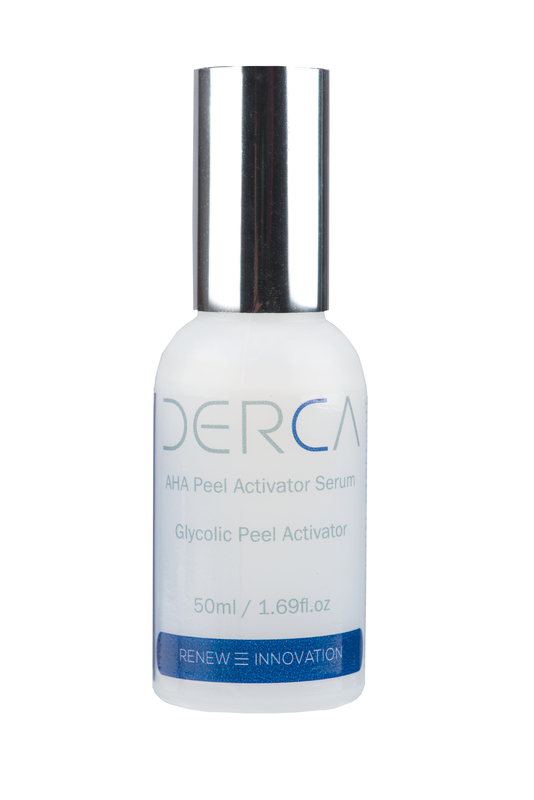 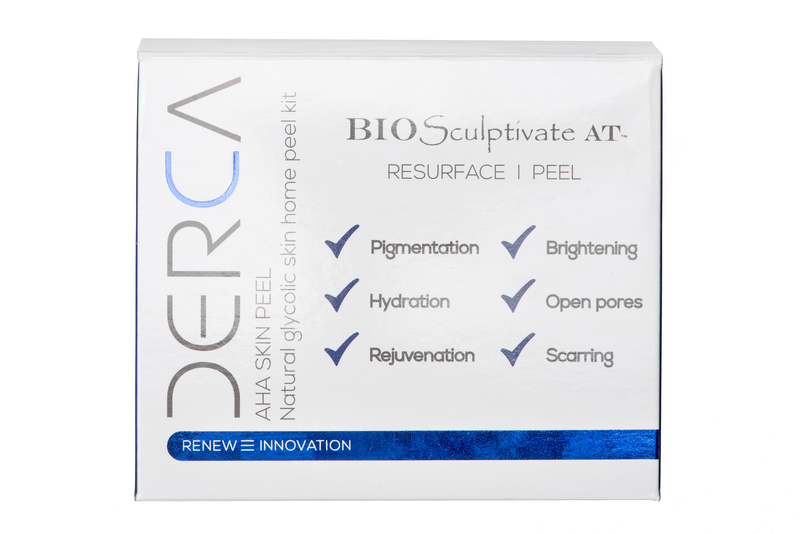 This peel has a 1.9pH and self neutralizes after 10minutes. 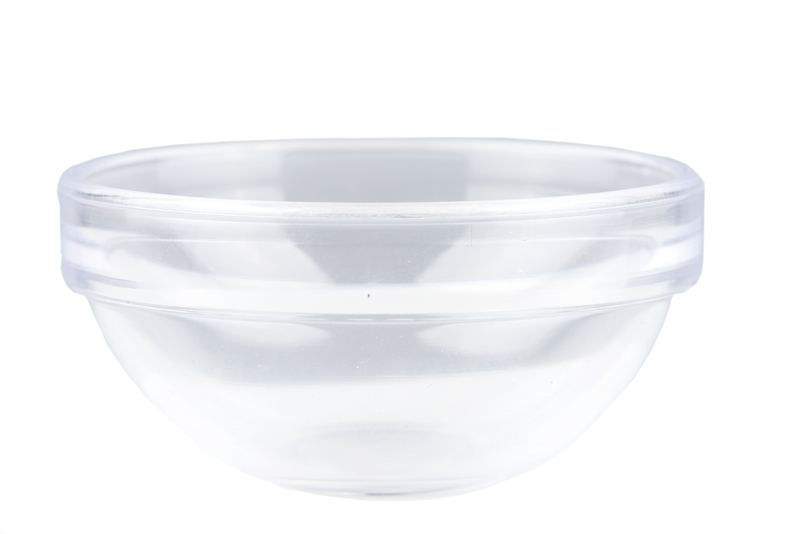 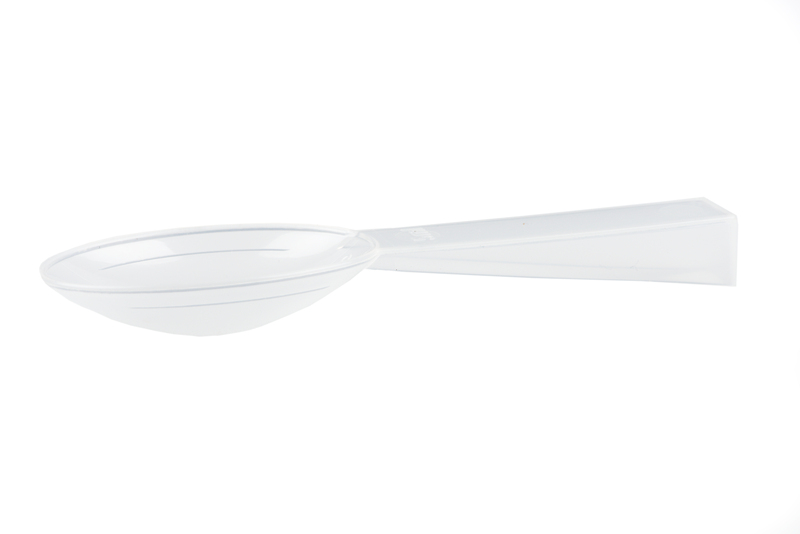 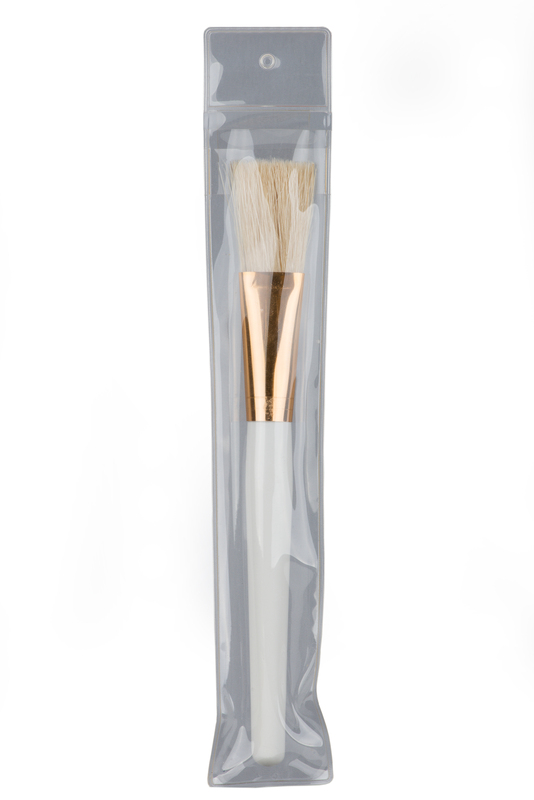 You receive a free mask brush, bowl and spoon inside your box. 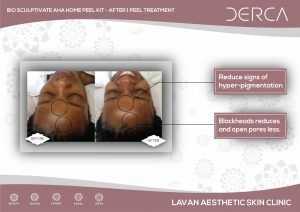 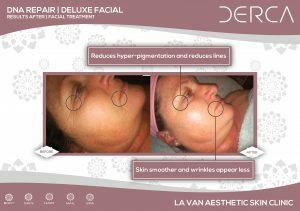 Great for the treatment of open pores, sagging skin, blackheads, milia, fines lines, wrinkles, hyper-pigmentation and malasma. 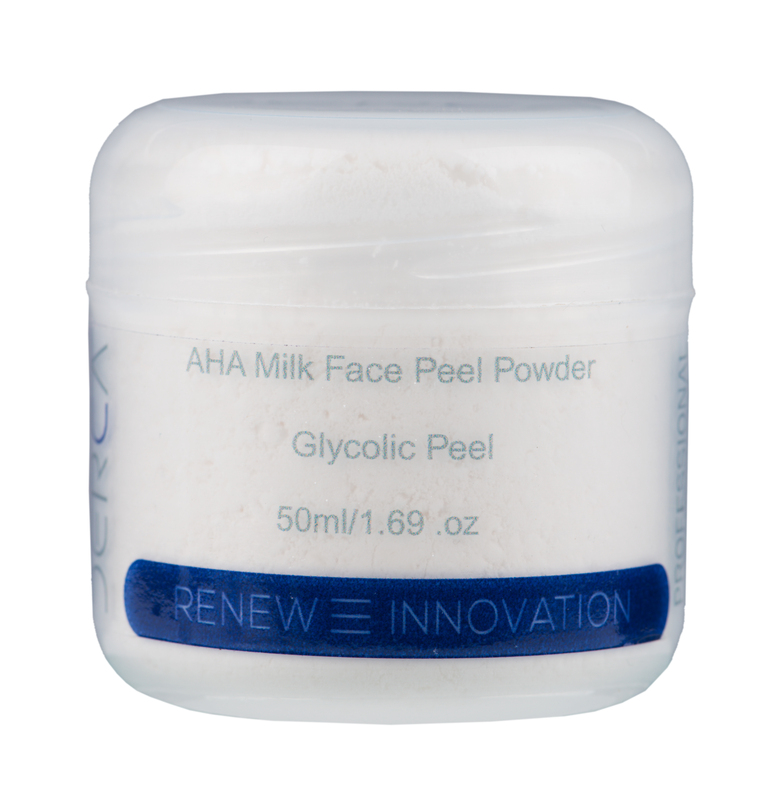 Step 3: Take your mask brush and mix your peel until smooth. 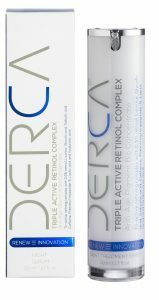 Step4: Apply mask from forehead to neck with hair growth. 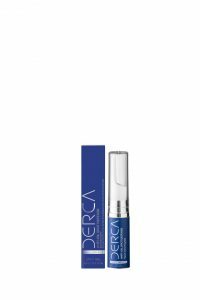 You can apply two layers if there is product left. 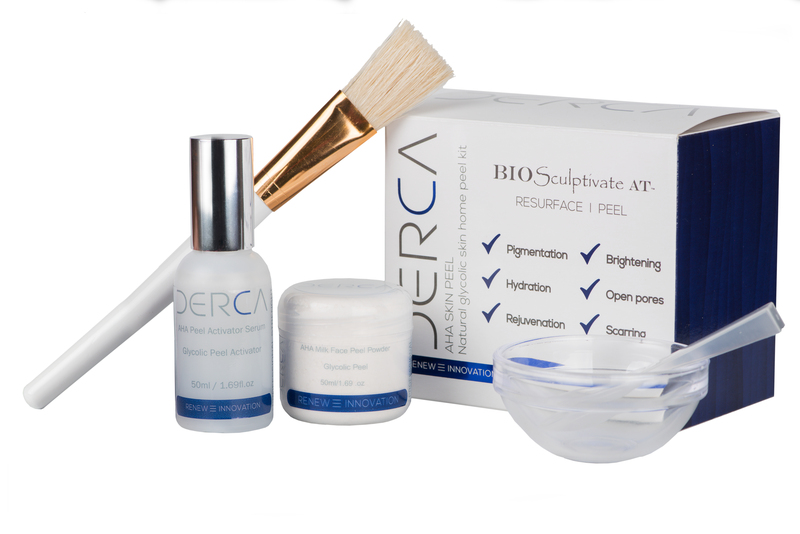 Step6: Remove peel with a warm face cloth until all product is removed. 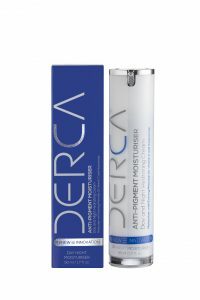 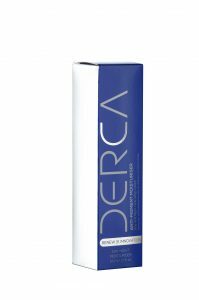 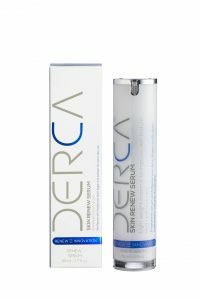 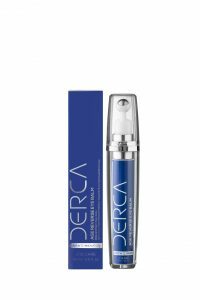 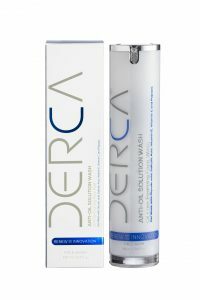 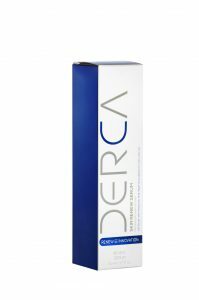 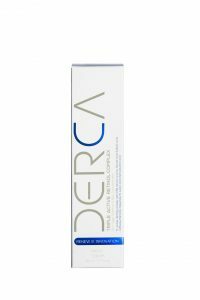 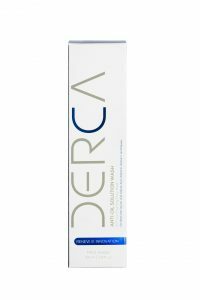 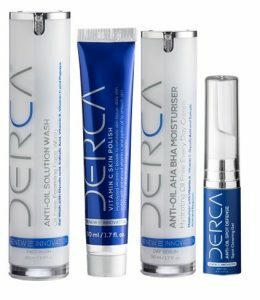 Continue with Derca serum and creams.